I’m a proud Hokie and longtime member of the Virginia Tech Alumni Association’s Board of Directors. • Be an ambassador for the university that has supported you by sharing what makes our community special and advocating for issues that support higher education. • Mentor other Hokies. Give back to a new generation and offer guidance to those beginning their journey. • Connect with your local alumni chapter. Meet Hokies in your area, volunteer with them, have fun with them. • Make a gift. Alumni generosity fuels research, teaching, and innovation. It’s also one of the most watched indicators of quality in higher education. When you give, it helps all Hokies, present and future. It’s living Ut Prosim and building a better Virginia Tech. • Visit campus often. You’ll have a new opportunity to do that this summer as we make a change to how we hold reunions. The Virginia Tech Alumni Association will hold its first-ever reunion weekend, June 7-10, 2018. It’s a new tradition for us and one we know will be a destination for alumni. We expect it will be one of the largest on-campus gatherings of Hokie alumni. The new reunion weekend will not affect Homecoming or the 50th reunion, which will still occur each fall. Specialty reunions and college tailgates will also take place as usual. We believe hosting one large weekend, rather than a handful of weekends throughout the fall, means a better experience. It’s a chance to spend more time in Blacksburg connecting with more Hokies and experiencing campus like never before. Please join us. We can’t wait. 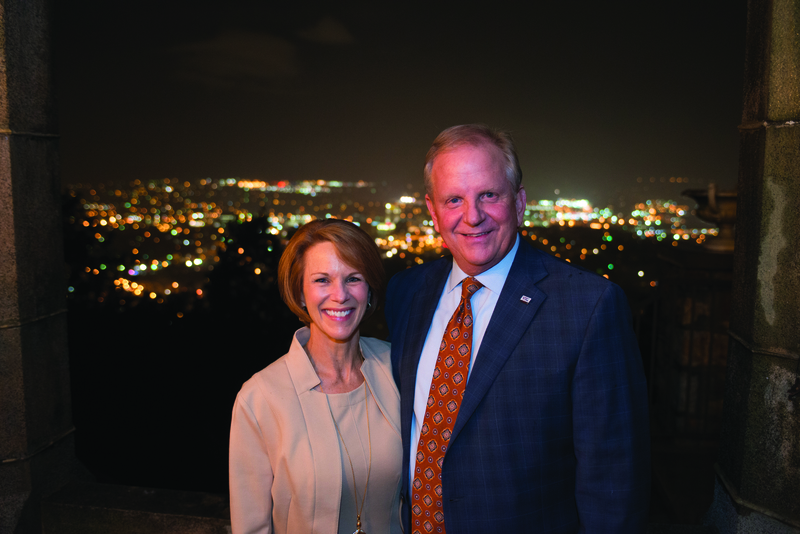 Mark S. Lawrence (business administration ’80) is vice president of governmental and external affairs at Carilion Clinic and president of the Virginia Tech Alumni Association Board of Directors.